The “SOKO gambling” leads in Burgenland since Saturday (the 26. November) controls. The special Commission even gets support from the use of Cobra – the most important special unit of the Austrian police. The focus is slot machines, which were erected without official permission, are in the investigation. 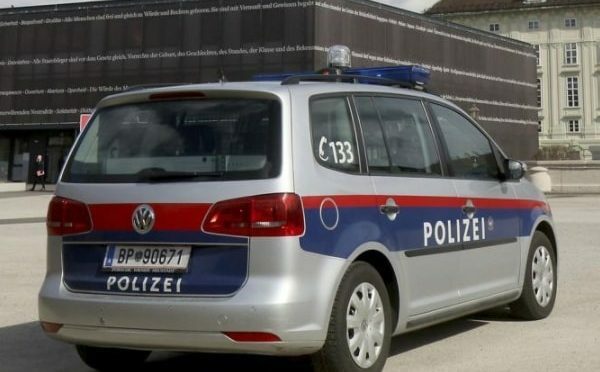 On Tuesday, the investigators of the special Commission in Eisenstadt, situated just 60 kilometres from Vienna, two Local controls and the illegally placed gaming machines seized. Were supported by the officers of the special unit Cobra, which can Express itself with special tools, access to all rooms. In an unauthorized Locally in Eisenstadt, the removal of the machines was probably only with the aid of heavy equipment. In some applications, in the past, we stood in front of closed doors, and the use took to long. You have learned from this experience, now a unit of the Cobra every Time. Among others, this special police had scissors unit Mount and battery-angle grinding as Standard Equipment, so you could for example open with a steel frame reinforced doors quickly. In the case of the priority actions, a betting office was controlled in Eisenstadt. Here, the use of but already. When the officers arrived, the betting office refers you noticed-but-still-burning cigarette in the ashtrays, so that the investigators assume that both visitors and operators are very quickly escaped. So far not heard anything from the police Directorate of the castle country, how many slot machines were seized – one will do this but at a later time. The special Commission of castle country was established only a year ago, however, there were already some stakes in this year. The first use of the “SOKO gambling had” in March. In the result of over 30 illegal slot machines have been threatened and confiscated, 3 businesses closed (in Pinkafeld and großpetersdorf) and 5 closures. In June, a sign was then assured once again 26 illegal slot machines – for the officials that combating the problem will persist longer. In Austria, the gambling law is also a matter for the länder, so that there may be greater differences in the design. Here are just some examples of rules. The largest Federal state in Austria has always problems with illegal luck. Currently, there are two legal vendor: Admiral with 1.665 devices and Amatic with 210 machines. The Casinos must meet strict requirements and, among other things, 100 meters from the youth facilities to be removed. All of the vending machines in the gambling halls must be linked also with the Federal data center continue to use the terminal only with a game card that requires a card control. The operator must also work with addiction clinics and train their staff to be able to problematic gambling behaviour. Casinos must have at least 10 machines, but may have a maximum of 50 Slots. For the devices, there are also limitations: The maximum stake is £ 10 – maximum winnings€ 10,000. Auto-start keys are banned, after 2 hours, the player must make a break of 5 minutes. Slot machines in restaurants are prohibited in lower Austria. In Burgenland, the requirements are not so strict as in other States. Per a population of 1,200, a machine is allowed to set, thus a total of 240 machines are allowed, of which 190 in game halls can be found. The Installation of Slot Machines in pubs remains in the Burgenland will continue to be permitted. It is estimated that currently 210 allowed vending machines for at least 100 illegal. According to the gambling regulation there are regulated maximum game times: game halls, there are 3 hours per day and restaurants, 1.5 hours. To control the use of a networked system is needed, in addition, the participation in the Games requires an ID check. The maximum bet is limited to 1€ for the devices, the maximum profit may not exceed 1000€. The payout percentages of the respective games to be displayed to the user, in addition, a ratio of 85% to 95% at Salons or 82% to 92% in the case of individual statements in the event the law is required. This is the exact opposite of effective player protection: players not on hear to play, but wander off in uncontrollable areas, where there is no or only Quasi-game protection. In the year 2015, the gaming market grew, despite the stricter laws and bans to 3%, so that in the industry a total of 1.55 million euros were generated. Although the sales of vending machines decreased, but casinos, sports betting providers and Online Casinos were able to enjoy a rain increase. At the same time one must also see that the Play of slot machines has increased without approval. In 2015, estimated to have been implemented in a 116 million Euro – were 60% more than the year before. In the last 2 years have been seized in Austria nationwide 5.764 machines and a total of 103,88 of millions of euros in Fines imposed. The previous record for the seizures this year at 950 ATMs in upper Austria. Burgenland, in spite of the “SOKO gambling” with 65 devices. Special commissions as a solution against illegal gambling? In lower Austria have now also created new departments of “Soko gambling” Baden, Neunkirchen, St. Pölten, Horn and Tulln. The Teams consist of 3 Finance officers, 2 experts from the district teams and at least 2 police officers. For Austria it seems to be the solution for illegal gambling. According to official figures, have made it the special Commission, the number of illegal gaming machines from 8,000 in 2010 to decrease to 1,200 in 2013. Current statistics of KREUTZER, FISCHER & PARTNER Consulting GmbH, that in the first quarter of this year, 7.159 machines were in operation, currently 2.201 devices should be illegal, what corresponds to a share of 30%. Since 2016 have reduced the amount of 4.8%. On the basis of these Figures, it can be seen that the special commissions in Austria have at least one effect, which is reflected in the media, but ultimately, it is still a long way until they offered the slot machines without installation permit once a stop.